Watch out for giant crabs! More river-boat piloting. This time at the children's museum. A recent trip to Chattanooga (31 July to 2 August 2008) was dominated by modes of transportation. 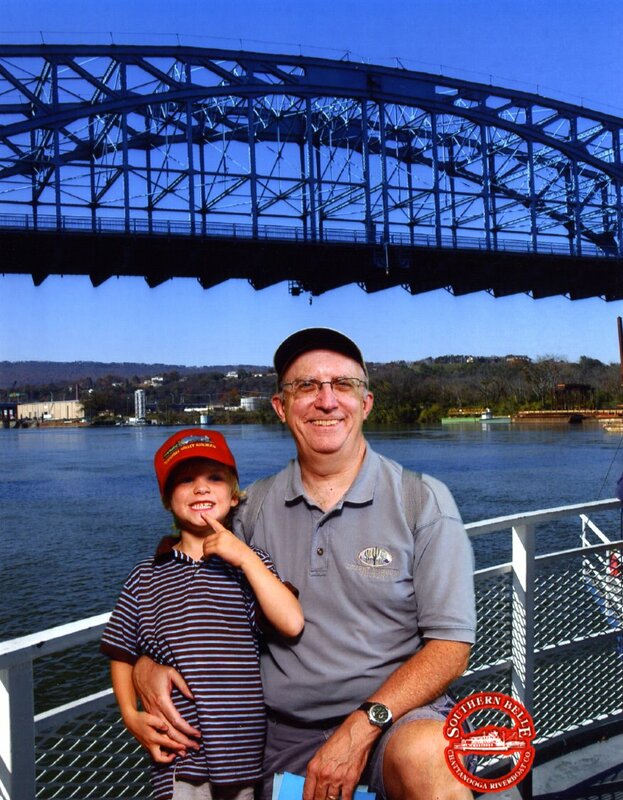 The most exciting for Ian was the Tennessee Valley Railroad Museum. He just about lost his mind when a genuine antique steam engine (which Ian much favors over diesel engines) pulled up to the depot. We rode it six miles down the track to a turntable where we got to see the big locomotive turn around. The next day we moved on to river transportation and hopped on the Southern Belle river boat. 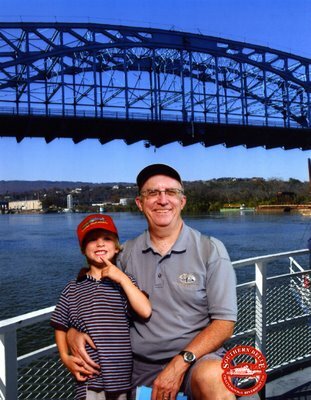 Ian spent most of the time with the captain, learning how to steer the boat (note hat from the Tennesse Valley Railroad Museum. 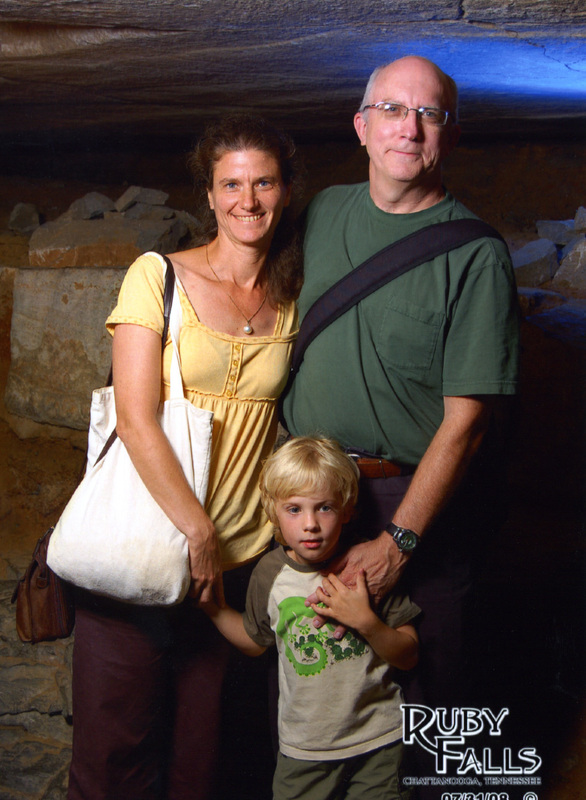 On 27 September 2008, Ian celebrated his fifth birthday. The celebration began on the Friday before the actual date. At school he treated his classmates to donuts and chocolate milk. His teachers, Ms. Allison and Ms. Gail, managed to stick a lit candle in Ian's donut. Saturday was the actual birthday and we elected to take a relatively low-key approach. Ian invited three of his best buds to meet at Chuck E. Cheese's. And so Penelope, Haven, and Marko assembled at that anarchic locale that is C. E. Cheese's. The parents suffered through the din, but the kids had a great time. But we didn't go for the birthday package provided by Mr. Cheese, because we figured we could get better cake from Mary's Cakes and Pastries. And we did (see above)! Sorry for the loooong URL, but this is not a fully public online album.